How to change the language of the metrics? 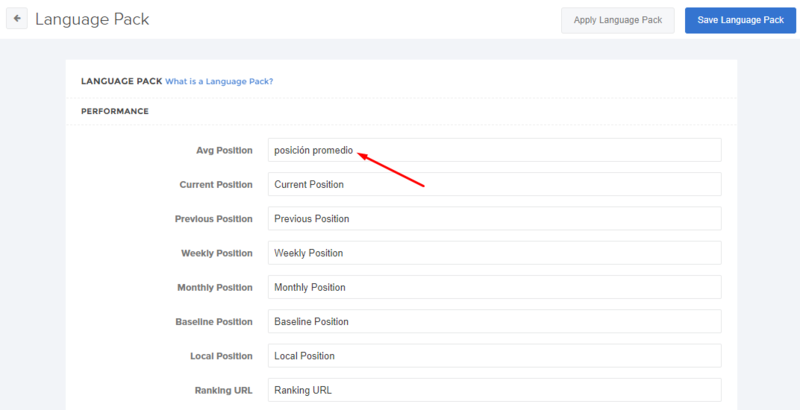 Language pack is a simple way for you to translate your SEO Reports into the language of your choice. ReportGarden provides you with some default language packs. You can create your own language pack by modifying the existing language pack.